Happy Labor Day! I've enjoyed this long weekend but am looking forward to going back to school tomorrow. Last year I fought for the librarian position at my school to be full time and thankfully, they agreed. So I am just the librarian this year and don't have to teach English. As much as I love teaching English, doing both at the same time was just way too much on my plate. I am loving the opportunity to teach classes and also move around the building to visit students and teachers in their classrooms. A fun and funny sequel to First Grade Dropout. A beautiful photographic series that proves strong means many things: it can be confident, wild, resilient, creative, determined, kind, fearless, joyful, independent, or all those things at once. Joey loves things that fold. 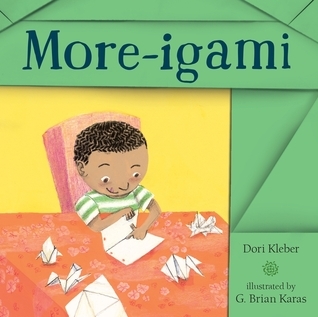 So when he learns the art of origami at school, he exasperates his family by folding any piece of paper he can get his hands on: his homework, his sister's sheet music, the money in his mom's purse. He soon tells his troubles to Mr. Lopez at his favorite restaurant, Muy Mexicana, and a partnership is soon born.This book won my heart. Everyone deserves a Mr. Lopez in their life. I enjoyed Saving Marty. Some of it's heavy, but I loved the characters and it's a beautiful story of friendship. Hillbilly Elegy made me think. I'll find Whose Moon Is That, have Kim Krans' 123 Dream and love the art, too, Beth. 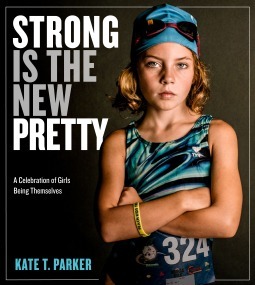 I bought Strong Is The New Pretty for my granddaughters and am saving it for when they get a little older. It's great! Thanks! 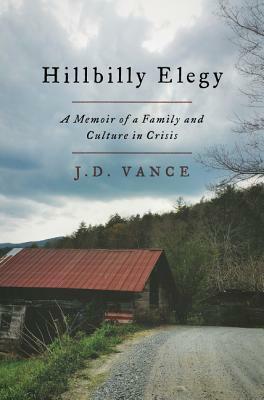 As someone who grew up in Appalachia, but moved away as an older child, I found Hillbilly Elegy compelling. I'm looking forward to see what you thought. Congratulations on achieving a full time librarian position! It is indeed a huge amount of work. Both Saving Marty and Whose Moon is That? are on order at my library. Hurrah! I'm interested in Whose Moon is That? The author lives in Portland. The author of Hillbilly Elegy was interviewed this weekend on a local TV station, because he used to live in the area and he graduated from Ohio State. I didn't realize he had such local ties. The book is on my To Read list and I'm looking forward to reading it. I'm on hold for Saving Marty. I've heard great things. I'll have to be on the lookout for Moon, first I've heard of it was on your goodreads! 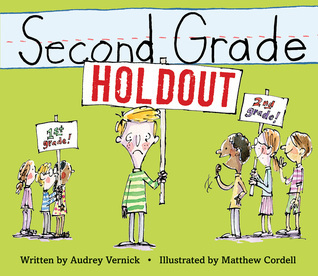 I quickly read Second Grade Holdout at ALA but my library still doesn't have it, which is ridiculous because Matthew Cordell lives in that town! Waiting for a copy of Saving Marty and need to find a copy of Strong is the New Pretty, for me if not for school. I want to read Strong is the New Pretty so badly and I want it in my classroom, so I will have to get it soon! Whose Moon is That looks great. I'll be on the lookout for it. 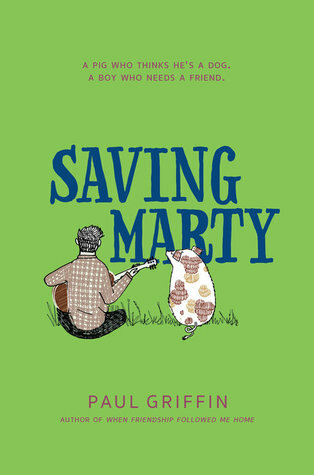 I am interested to hear what you think about Saving Marty. I've given it to three preteens, and they all loved it. I really like Griffin's writing, and it's on my nightstand right now, but I planned to read a couple of books before it. 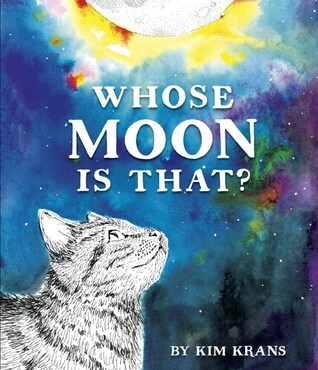 Just looking at the book cover of Whose Moon Is That makes me swoon - will put in my To-Read Goodreads stack.